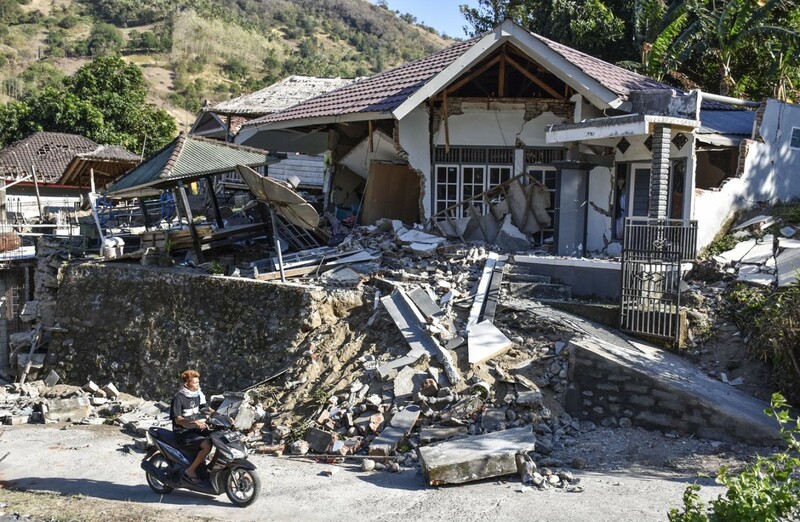 Following a 7.0-magnitude earthquake that hit West Nusa Tenggara (NTB) on Sunday evening, rescue workers have actively been searching the province to rescue and aid victims. As of 10 a.m. on Monday, 91 have been reported dead, with about 209 injured. Survivors have moved to shelters with little in their hands, as their homes were severely damaged or destroyed by the earthquake. Although thousands have sought shelter and help, many are still in need of help of food supplies, clothes and comfort or entertainment items, such as toys and books. The emergency response period in all affected areas was extended to Aug. 11, according to a statement issued by the National Disaster Mitigation Agency (BNPB). As stated by BNPB spokesman Sutopo Purwo Nugroho, among the basic necessities needed by the victims are instant food, drinking water, clean water, tents, blankets, tarpaulins, clothes and medicine. They are also in need of trauma and healthcare services. Many humanitarian organizations have extended a helping hand by accepting donations, be it the form of funds, goods or even volunteer work. The following is a list of organizations through which you can donate. The Indonesian Red Cross is accepting donations for victims of the earthquake through Lombok Kita Bantu. Donations are collected through local banks and via the Lombok Kita Bantu donation portal. The Indonesian Red Cross is also open for donations in the form of goods and volunteer work. Further information can be found on its official website donasi.pmi.or.id. Funds can be donated to Indonesian-based humanitarian organization Aksi Cepat Tanggap (ACT), which actively helps in natural disaster events from the emergency phase to the post-recovery phase. Bayan Post: House of Dasan Gerisak village chief, Anyar village, Bayan district, North Lombok regency, West Nusa Tenggara. Sembalun Post: Jl. Raya Sembalun Lawang, Sembalun Lawang, Sembalun, East Lombok regency, West Nusa Tenggara. Gempa Lombok Post: Jalan Sriwijaya number 80J, East Pagesangan subdistrict, Mataram regency, Mataram City, West Nusa Tenggara (west of Grand Legi Mataram hotel). Donations to Dompet Dhuafa Republika will be used to rebuild houses for the victims of the Lombok earthquake. Another way to help is to support international charity organizations. Oxfam has about 8 to 10 local partners and three Oxfam staff members operating in Lombok. They are currently working with KONSEPSI, which has deployed a team and partnered with the Village Preparedness Team in Sembalun as well as the district's disaster management agency. Oxfam media coordinator Dylan Quinnell tweeted that antipoverty group Oxfam Australia was using its Jakarta warehouse staff and partners to distribute tarpaulins and sarongs to the earthquake victims in Lombok. You can support their response to the rapid needs by fundraising for their cause or donating funds through their official website oxfam.org.au/donate/. Wahana Visi is a branch of humanitarian aid organization World Vision International. The WVI Disaster Response Team has been responding to this disaster on the field in Sembalun, East Lombok. Donated funds are used to provide care and educational packages for children, home appliance packages for families, clean water and sanitation facilities. They are also used to set up a Sahabat Anak Room children's center in each evacuation post, with each center to be stocked with books and toys. WVI is also working to educate families on the natural disaster they are currently facing, and what they can do to survive in the situation. For those who can help, donations of Rp. 100.005 are encouraged; note the five as the last digit. Send proof of transfer to [email protected] or +62-811-183-8496 on WhatsApp. Transfer your donations through BCA 478-3019445, under the name Yayasan Visi Indonesia. For more information, contact WVI on Facebook or visit its official website wahanavisi.org, or @wahanavisi_ID on Instagram and Twitter. Lombok-based Sahabat Anak Foundation has been helping underprivileged children and their families by providing them with the necessary residential care, family care, education, medical care and legal aid, as written on their Facebook page. In a one-minute YouTube video, a Peduli Anak Volunteer expresses his concerns and the urgent need for help as buildings were destroyed as a result of the earthquake. “We have about 100 children, everybody is safe, none of the children got injured. Everybody was outside when this happened so we’re really lucky that nobody got seriously injured here. But all of our buildings, our shelters, all the homes of the children are destroyed. […] We need help, we need a tent, at least, a big one we can sleep in. But we really need help soon, we think this is a really bad one,” he said. The foundation owns four dormitories for children, a school, a prayer room, office rooms and other supporting facilities. However, the earthquakes caused medium to critical damage to the majority of its buildings. Transfer donations from Indonesia to the BCA account: 0560865333 under the name YAY PEDULI ANAK. For direct deliveries of basic necessities or care packages, go to: Yayasan Peduli Anak, Desa Langko, Lingsar, Lombok Barat. For more information, Peduli Anak Foundation is rated as very responsive to Facebook messages. They may also be contacted through the number +62-370-617-1993. PT Pos Indonesia has opened Caring for Lombok Earthquake Victims Post and accepts donations until Aug. 31. Pos Indonesia account (at Pos Indonesia offices) – Account number 00123456789 on behalf of PT Pos Indonesia (Persero), Pos Indonesia Peduli. Bank transfer through virtual account number 200 999 0099 00123456789. Users of the online travel platform Traveloka can exchange their points to donate funds. With 250 points, a user can donate Rp 25,000 (US$1.70), 500 points for Rp 50,000 and 1,000 points for Rp 100,000. The program is open for all Traveloka users with existing points. To exchange them, users must use the Traveloka app version 3.0.0 (Android/iOS). The program started on Aug. 10 and will end on Aug 24, and donations will be submitted through the Indonesian Red Cross (PMI). More information can be found here. To help cats in the Gili islands near the coast of northwest Lombok, Cats of Gili is accepting donations. Head to the website or via Paypal account [email protected] to donate. Editor's note (Aug. 18, 2018 at 5:10 p.m.): The article has been updated for additional information.